The buzz words when it comes to sofa trends these days is Midcentury Design – a singular style that blends arresting shapes, graphic patterns and quirky accents. Here are some ideas about how to make this style your own. The midcentury modern design style first re-appeared on our radar more than a decade ago, but the hugely popular Mad Men TV series pushed it even further into the limelight. As the name implies, it spanned a period of roughly two and a half decades in the middle of the 20th century – from the mid-1940s to the 1970s. This trend has an uncomplicated and fresh aesthetic with an emphasis on pared-down forms, contemporary patterns, natural materials and a seamless flow between indoors and outdoors that creates a medley of functional comfort and chic style. Midcentury interiors are all about organic style, ease of living and simplicity. Furnishings and floor plans are stripped down to their essential forms, so avoid any excess detailings or superfluous flourishes. One of the Style Secrets behind this trend is the use of Graphic Patterns. There’s nothing shy about midcentury modern patterns. Bold geometrics, strong and sensuous curves and whimsical motifs will give interiors an instant strong impact. Choose from heavy textured fabrics to give the patterns added weight. When it comes to colour choices, it is warm and earthy shades that predominate and are central to the midcentury palette. However, it would not do for this look to come across as too shy and a few strokes of some rich and saturated colour will give it both strength and presence. If Midcentury Design is a trend that you are interested in incorporating in to your home, please call in to our extensive showrooms and let us show you some beautiful pieces of hand-crafted furniture that will perfectly capture the look that you are after. The beauty of made-to-order sectional sofas is the myriad of configurations that you can conjure up – and it is this mix of flexibility, style and comfort that makes them the perfect fit for any home. Create your own combination to get exactly what you want and then you can always add on pieces as and when your needs change. Choose from sofas, corner sofas, chaise longues, L-shape sofas and armchairs and then mix and match (or contrast them) to your heart’s content. You will never have a dull moment when you can simply turn pieces around or move them about to achieve a very different look! And with a huge range of fabrics and colours on offer, we will make it very easy for you to get the exact look that you want. In fact, the possiblities are almost endless… All of our pieces of furniture are lovingly crafted in Navan by skilled tradesmen – ensuring that you get the individuality that you have in mind. Contact us now to arrange to call in for a consultation to look around our showrooms and to discuss your dream design. Sofa So Good are here to make it happen! Sofa trends this season show a move towards suites that make a very striking style statement. The days of having matching sofas and armchairs are passé. 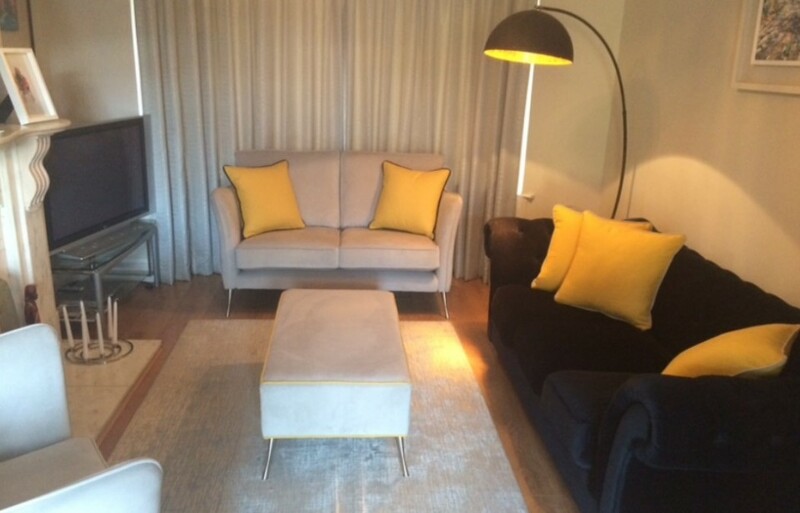 Individuality is key to this look and designing your own bespoke sofa gives you a huge advantage. Choose rich jewel colurs and textured materials sumptuous suede, plush velvet, luxury leather or a modern twist on traditional tweed. 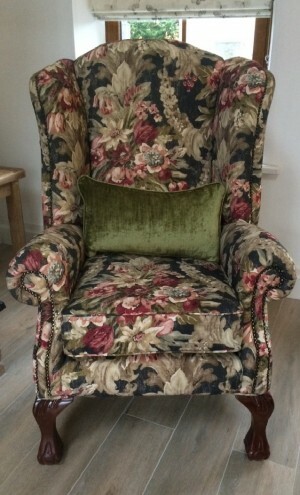 Alternatively, ‘granny floral’ materials are still a Shabby Chic trend. You can make an even more fashion impact by mixing fabrics and colours within the same suite. Alternatively, choose one colour and material for the sofa and then accessories such as cushions in contrasting colours and textures. If your preference is for a sofa in a more neutral colour and material, then you can also jazz up the look with colourful accessories. 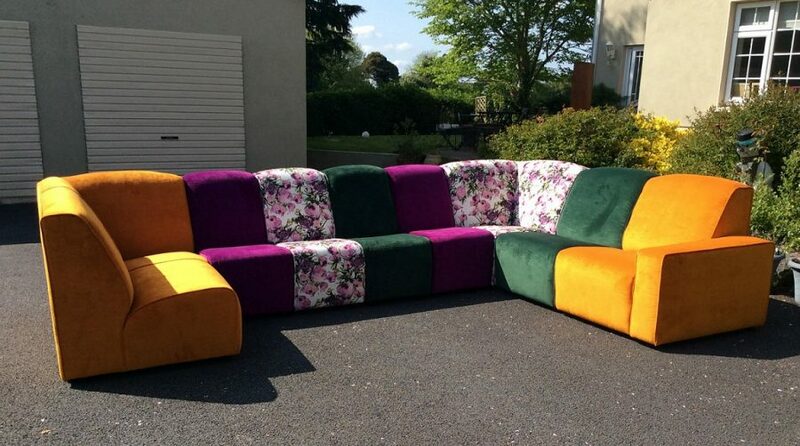 Have some ideas in mind about your ideal stand out sofa or suite? Call in to our showrooms in Navan and we can help you to create your perfect sofa design. All of our hand crafted Irish-made sofas are of the highest quality and are built to suit your lifestyle – and last a life time. 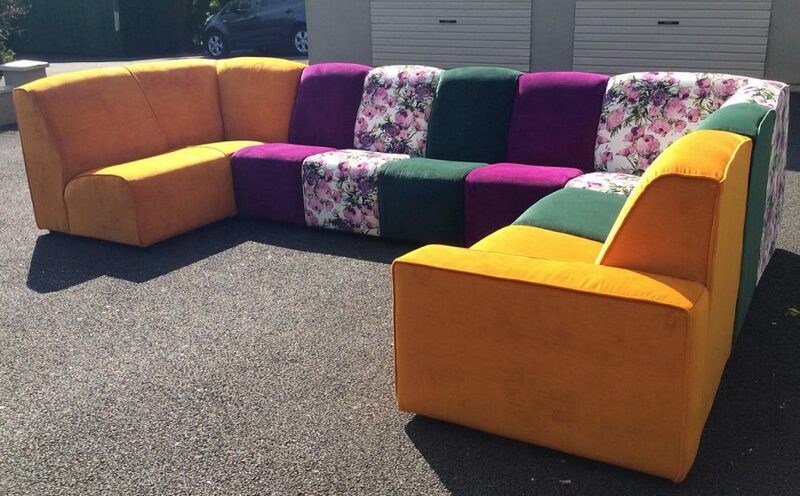 All our Sofas, Corner Sofas, L-Shape Sofas and Chairs are all Irish made and made to your specific requirements. 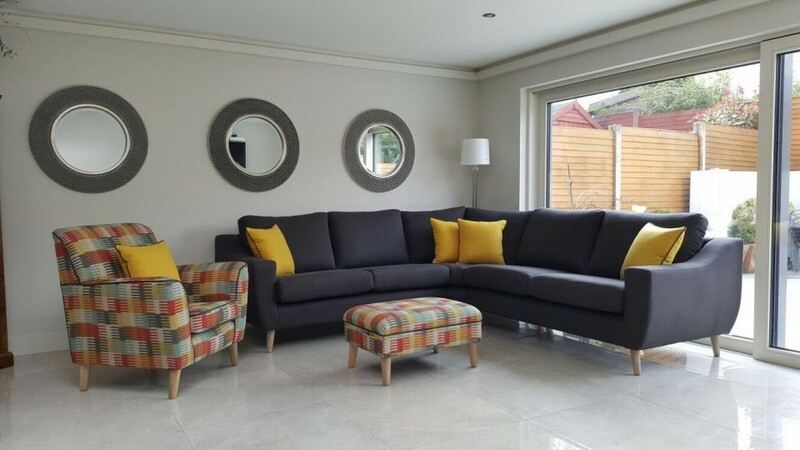 You can choose any Sofa or Corner Sofa to be made in any colour as there are thousands of colours and textures to choose from at our Showrooms in Navan. 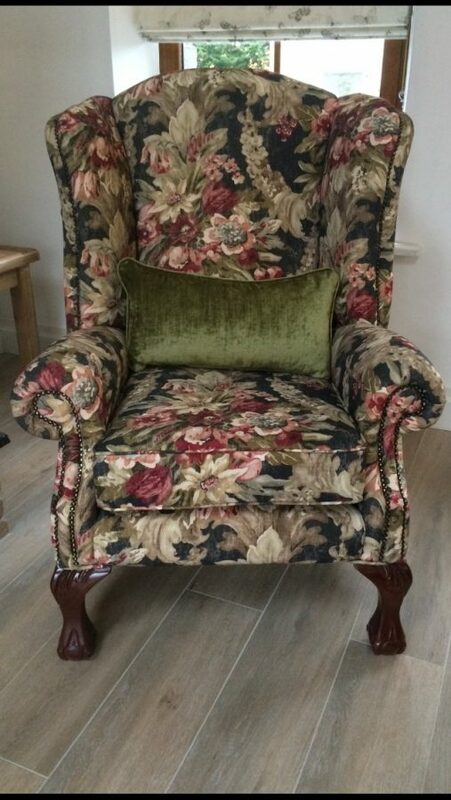 You can have your Corner Sofa made to whatever size you need it to be to suit your room, and maybe like this client avail of our Reupholstery service and add your sentimental piece of furniture to bring your whole room to life. 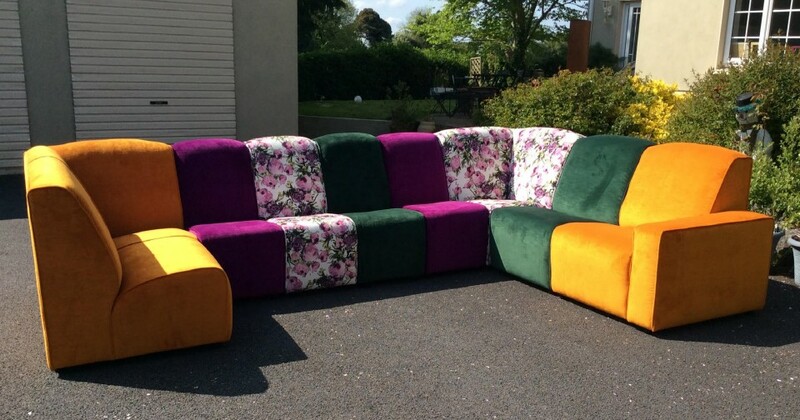 All our sofas are an Irish handmade product and can be made to specific sizes and design as with this L shape sofa. It’s clean contemporary lines combined with chrome base puts this extended seat sofa in a league of its own. 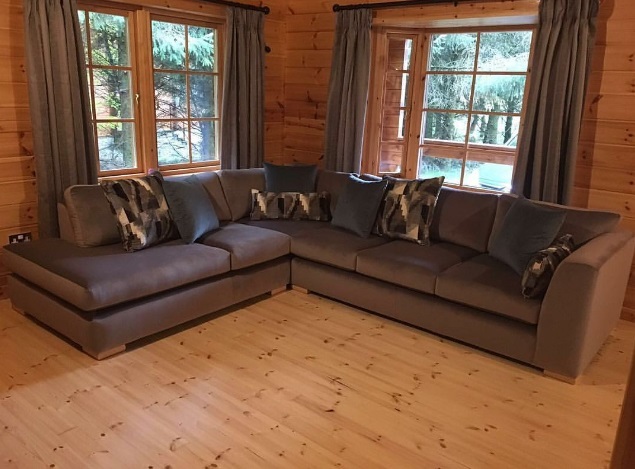 All our bespoke sofas are designed to stand the test of time and this Scandinavian styled sofa is no different. 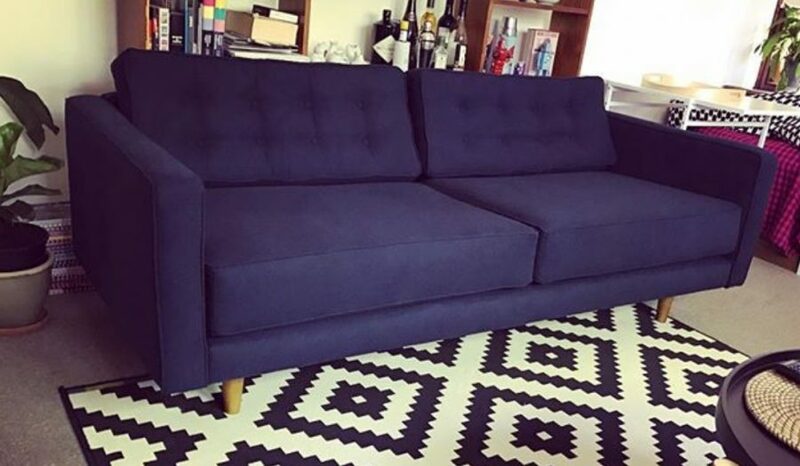 The Oslo sofa is bang on trend and provides our clients with a sofa that is cool and edgy. 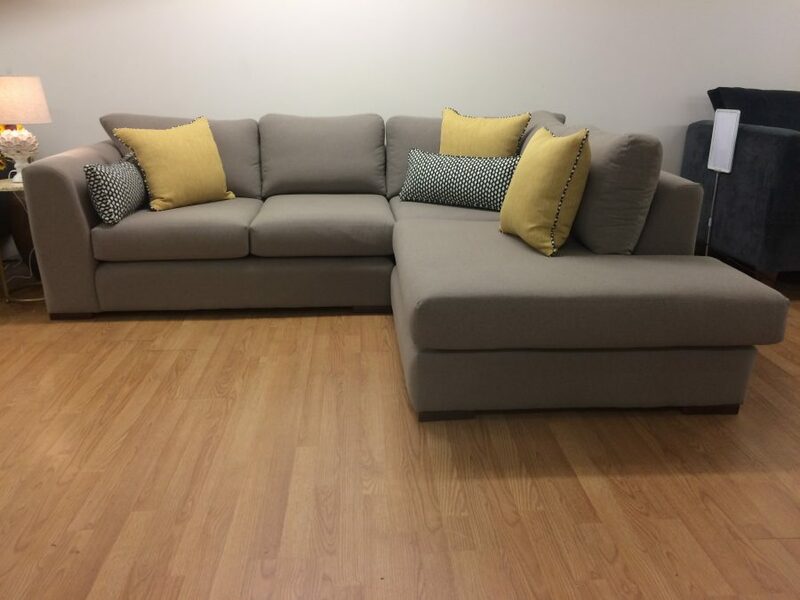 This sofa is handmade in Navan and is designed to be practical and compact without losing any of its creature comforts along the way. 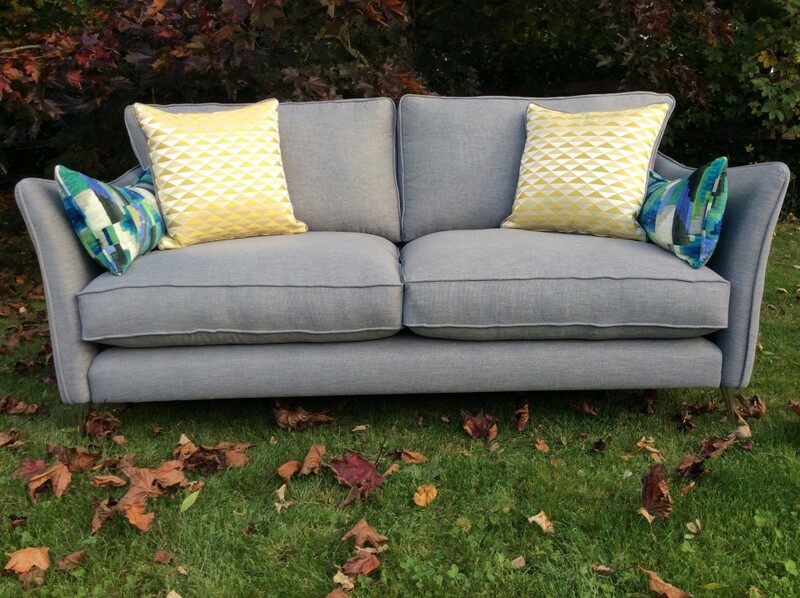 It’s soft and gentle curves invites you to cozy up for the evening, and for those of you that are feeling a little bit adventurous why not dress your new bespoke sofa with some fresh and vibrant scatter cushions. 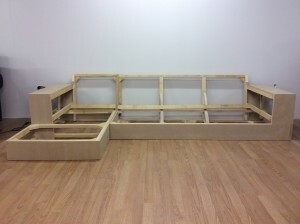 All our sofas can be made to whatever size and comfort you require. 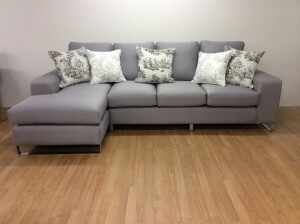 Call into our showrooms today and pick up a sofa that is a little bit different.